An accepted truth among nineteenth-century chemists was that the properties of chemical compounds could only change if they had different elements. This dogma was radically altered in 1828 when the German chemist Friedrich Wöhler synthesized silver cyanide, which had the same elements as silver fulminate, but different properties. Two years later, the Swedish chemist Jöns Jakob Berzelius found that urea and ammonium cyanide had the same chemical composition but different properties; he named this phenomenon isomerism. MIRROR IMAGES. In 1848, Louis Pasteur, French chemist and microbiologist, observed that rotated polarized light passed through a solution containing tartaric acid naturally present in yeast deposits in wine but not tartaric acid synthesized in the laboratory. 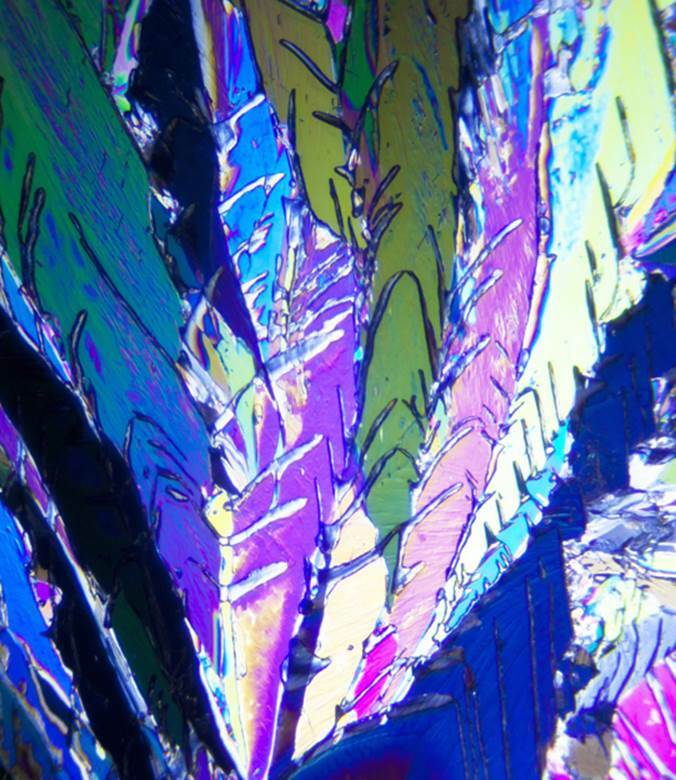 Using a pair of tweezers and a microscope, Pasteur discovered two sets of laboratory-prepared tartaric acid crystals and found that while both sets rotated polarized light to the same degree in solution, light was rotated in opposite directions. One set of isomers rotated polarized light counterclockwise to the left [designated levo-, L-, or (-)], while the other rotated light clockwise to the right [dextro-, D-, or (+)]. These two optical isomers (called enantiomers) are analogous to our left and right hands—mirror images that cannot be superimposed upon one another. Enantiomers have the same elements but these elements are differently arranged in space around a central carbon atom. When equal amounts of D- and L- enantiomers are present in a solution (a racemic mixture), each cancels the other and polarized light is not rotated. With this discovery, Pasteur first gained scientific recognition. Enantiomers assume great importance in biological systems and the properties of some drugs. Amino acids, the building blocks of proteins and enzymes, are all L-enantiomers, with D- rare in nature. Living organisms can only incorporate L-amino acids into proteins, and only L- is biologically active. By contrast, sugars, which make up carbohydrates, are dextro. Different enantiomers of drugs can exhibit different activity or toxicity. L-DOPA is effective for the treatment of Parkinson’s disease, while the D-enantiomer provides no benefit and contributes to DOPA’s toxicity. Methamphetamine occurs as two enantiomers, with D- ten times more active in its brain-stimulating effects. SEE ALSO: Enzymes (1878), Amino Acid Sequence of Insulin (1952). This image depicts microcrystals of tartaric acid as seen in polarized light. The ability of two isomers to rotate polarized light in different directions is a function of differences in their three-dimensional structures. In nature, sugars in carbohydrates rotate polarized light to the left, while amino acids rotate polarized light to the right.